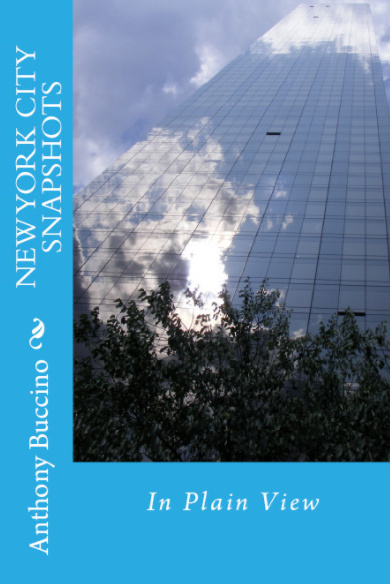 Having some fun with travel writing, Anthony Buccino taps into his years as a commuter in metro New York and New Jersey, some nearby vacations and even a few celebrities met traveling for business. 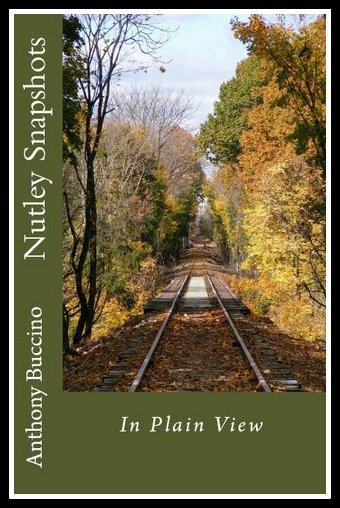 For 11 years, Buccino rode public transportation including NJ Transit buses, Newark City Subway, Hudson-Bergen Light Rail, Port Authority Trans Hudson's PATH trains, the occasional NYC subway and DeCamp buses. For five years, he wrote about commuting and transit in metro New York-New Jersey for NJ.com. 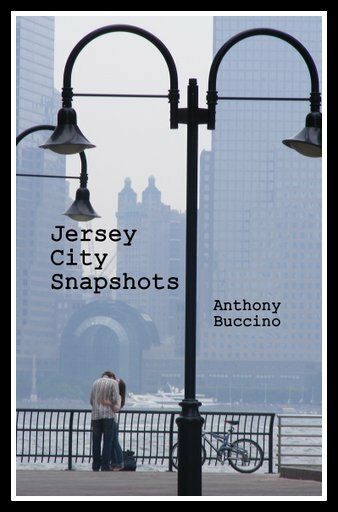 His transit writing earned the New Jersey Society of Professional Journalists Excellence in Journalism award. So, if you like, Tweet and share these stories, we'll surely find more for you to enjoy. At corners, tourists upset pedestrian traffic flow when they stop at a light, refusing to cross the street simply because the walk/don't walk light says don't walk. 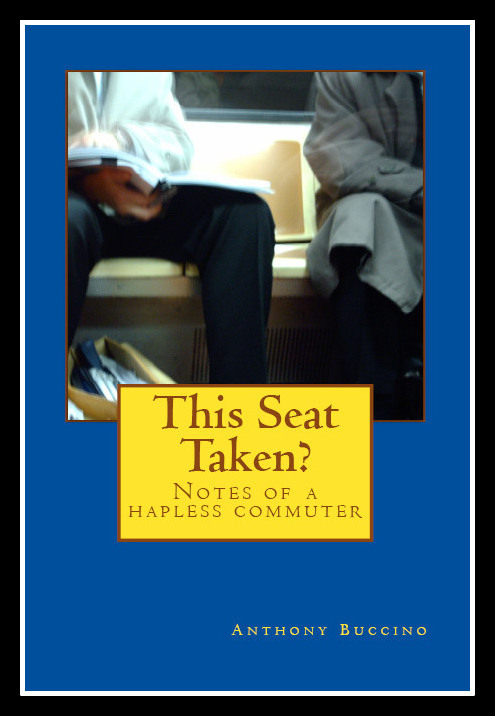 Hey, there's nothing more I'd love to do beside complain about NJ Transit service. Complaining about PATH service and NJT are second only to complaining what to wear when I'm standing on a corner waiting for a bus at 20-degrees or less. There are always people milling at Port Authority bus terminal. They sit around, read newspapers, have coffee or wait to buy a winning lottery ticket out of this rat race. Repeat the hot-cold-hot-cold ritual until you get to work. Now, do you wear your scarf all day because your desk is near a vent? Or do you brace yourself for the thermostat wars? We’ll miss the way these old cars squeaked to let us know when we were in a turn, or screeched as we arched a hill, then rocked us gently with tired shocks as our brethren embarked and debarked. We suppose this world, this new world, didn't work out for her. So, now she paces the platform at Branch Brook Park's Newark City Subway talking both to everyone and to no one. Along the Hudson River in Jersey City, N.J. It's about more than the shore, more than the seagulls, ducks and geese that visit; about more than the people who leave their bustling offices and saunter outside along the ever-evolving shoreline of the Hudson River at Harborside and Exchange Place in Jersey City, New Jersey. Sometimes I look up from my work and see someone staring out the window at a passing ship, or a sailboat, or icebergs that pass by in the winter thaw on the Hudson River. While working for a national trade association, Buccino traveled to many large U.S. for business, remembering mostly airports, hotels and convention centers, but we're trying to entice him to share more. In Jackson Square, an artist sketched my four-year-old daughter’s portrait in color charcoal, highlighting her red hair as the sun broke through the trees like a spotlight. On another trip, an artist painted a mystical henna tattoo on her ankles. I sit in the commander seat. The five-man crew is a loader, gunner, driver and assistant driver. Tankers are known to carry a sidearm in case of a Zippo event (lights on first strike). But in no time at all we had arrived at the top floor of the largest hotel in the free world. The room where Rogers spoke was formerly part of Elvis’ suite, then it was a disco. Now, a 1930s film star was about to speak. If you're the ferry commander, do you just walk into your boss's office one day and say, 'Hey, I'm tired of the same back and forth route, today I'm going to cut loose and take this baby up the Hudson River,'? Nightfall at the Promenade, the waterfall is calming, soothing, rushing, and the alley way is secluded in shadows. Ambient lighting entices a couple to discover a private kissing corner. They whirl in second thoughts upon noticing this casual observer. Ashtabula in those days was a lot like Mayberry on the TV show, good, hard-working people, but with a different accent. They said I “tocked” funny. I said they “tawked” funny. We were divided by a common language. Toll booth advocates espouse the logic of strategically placed roadblocks that make the highway more democratic. For one thing, toll plazas make just about everyone drive at the same speed: zero. Live reading at launch of "Celebrating William Carlos Williams and The Poetry of Place: North Jersey in Poetry" in May 2008 from The Poetry Center at Passaic County Community College.